" O.M. Goodness! They really did hire a bunny!" Yup, the rumors are true; there really is a bunny on Zootopia's police force, but this bunny is not your typical bushy-tailed rabbit. She's Judy Hopps, a tenacious bunny from Bunnyburrow who is determined to seek justice. She may be small and soft but don't give her any wimpy jobs like doling out parking tickets. This bunny is not meant to be a meter maid, in fact she's currently Chief Bogo's top police officer, ever since solving Zootopia's biggest mystery. That's right, little Judy Hopps exposed the real reason why all the predators were becoming savage and the culprit goes by the name, Mayor Bellweather! Judy Hopps went against all odds and caught the suspect by using her physical prowess, her tactical skills, and the help of her fox-friend, Nick Wilde. Yup, it's safe to say that Officer Hopps is basically a hero to all and a great role model for youngsters. 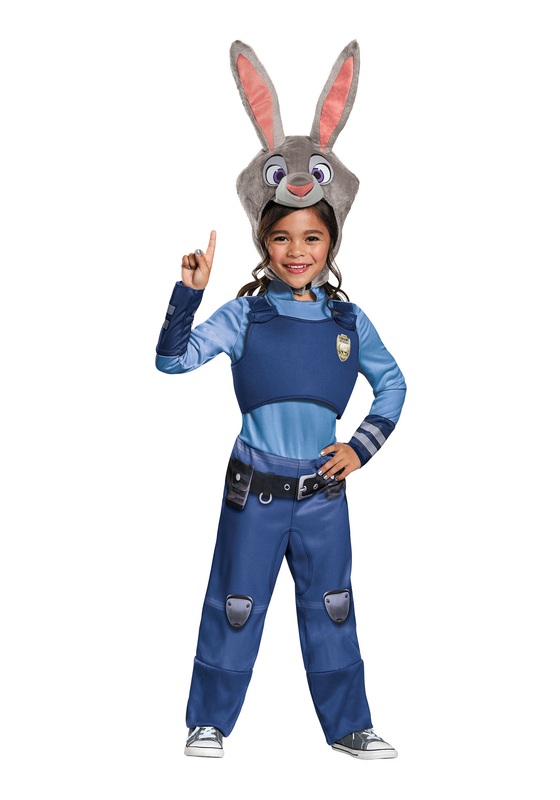 If you want your daughter to believe that she can grow up to become anything she wants, then outfitting her in this Zootopia Judy Hopps costume is a great place to start. This cozy and soft jumpsuit with printed details and has a foam vest attached to the front while the character hood secures easily and comfortably underneath the chin. You'll love watching her hop off with hopes of making the world a better place. We definitely think she will succeed! Will be used over and over. 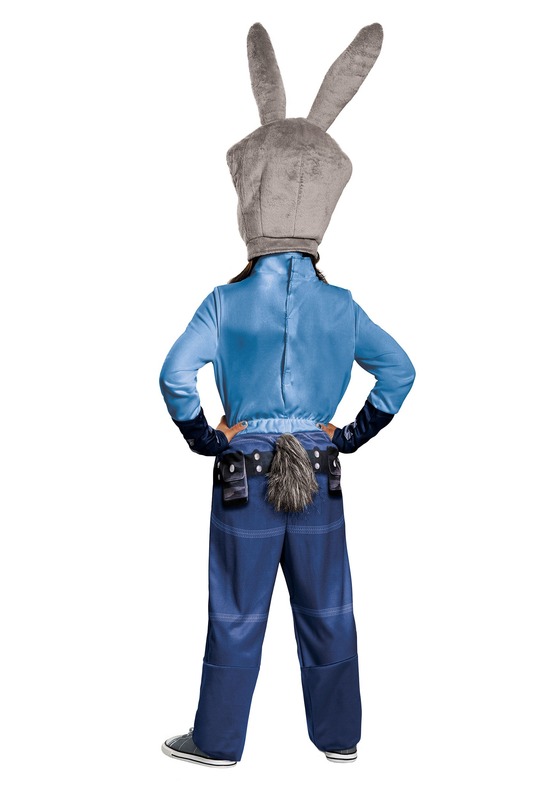 Kiddos are big fans of the movie and this costume helps bring it to life! So cute and fits my daughter perfectly! I love this costume and was looking all over for something like it and found it here. I know she'll have a great Halloween in it.